There’s something very special about the way Marc Hannaford plays piano. It’s not just his striking percussive style. 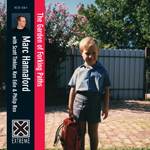 It’s the way Hannaford plays every key with great confidence, knowing full well that each note has a place and a purpose on his debut album The Garden of Forking Paths. Of course, there is also something very special about his fellow musicians on The Garden of Forking Paths. Scott Tinkler (trumpet), Ken Edie (drums) and Philip Rex (double bass) are all superb improvisers and you couldn’t want for better support than them. Each musician is the best in Australia on their respective instrument. The remarkable aspect of The Garden of Forking Paths is that Marc plays in total unison with the other musicians. He has the maturity to realize that working to achieve a united voice will have a far greater power than heavy handed brinkmanship. The Garden of Forking Paths also allows Marc to showcase his wonderful ability as a solo piano player. ‘I’ll Go Down…’ explains without words just how his unique playing style can work as well on its own as it does in the group context. The dazzling counterpoint is seemingly played by two pianists on the one piano. It is also interesting to point out the tracks on The Garden of Forking Paths where Marc has outlined the context for the improvisational performance. It is here that his compositional ability has truly brought out the best in his fellow musicians, with ‘G.E.B.’ being an opus of astounding beauty. 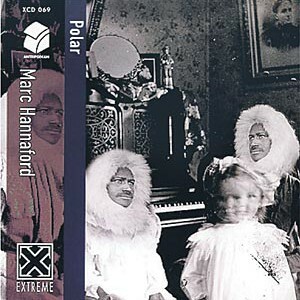 Marc Hannaford is certainly one of the best jazz pianists in the country, already acknowledged by his peers and critics alike. With The Garden of Forking Paths it is now time for an even greater audience to enjoy this prodigious talent. “The Garden of Forking Paths” is the third part in the Antripodean series of releases on Extreme. The Antripodean series is a collection of works showcasing Australian artists exploring the boundaries of music. I see this recording not only as a documentation of my own playing and interactions, but also as a step in the documentation of some of the unique approaches to improvisation found in Australia. The music on this recording is largely improvised, but is also occasionally guided by frameworks of varying degrees of specificity. These frameworks are at various times pitch cells, rhythms, or even fully-notated portions of music. My aim in using these frameworks was to provide a stimulus while not encroaching on freedom of each musician. I think the group achieves a definite solidarity of sound. Part of the reason for this is the fact that each of us works hard on developing our own strong rhythmic and melodic language as a means to interacting, rather as an ends in themselves. This music has been influenced by plenty of things, but sounds like none of them. I think it is original, beautiful, improvised music played with conviction and passion by four musicians with a common goal. I hope you listen to this music to hear what it is, rather than what it is not. Enjoy! Scott, Ken and Phil for their playing on this recording and also their support over the last little while, John Rodgers and Elliot Dalgleish for the lessons, Sam Bates for the drums, David Moore and Helen Mountford, all the other musicians who have helped me over the years, Roger for believing in the music, all of my friends and family.